Jackson County graduates have the opportunity to further their education at several colleges and universities located nearby. Strong workforce training programs are offered at the educational institutions, as well as through the public school system. 81% of Jackson County’s populace has a high school diploma, and 12% have a bachelor’s degree or better from a college or university. Chipola College in Marianna has a rich tradition of strong academic and workforce programs, with an outstanding faculty committed to developing each student's full potential for success. Four-year degrees and workforce certifications are available. The Baptist College of Florida in Graceville also offers four-year degrees. Chipola College is ranked as a top Community College (offering four-year degrees) in the U.S.
Florida State University (55 minutes away) is a Tier 1 Research Institution. No Floridian lives more than 50 miles from an institution of post-secondary learning. 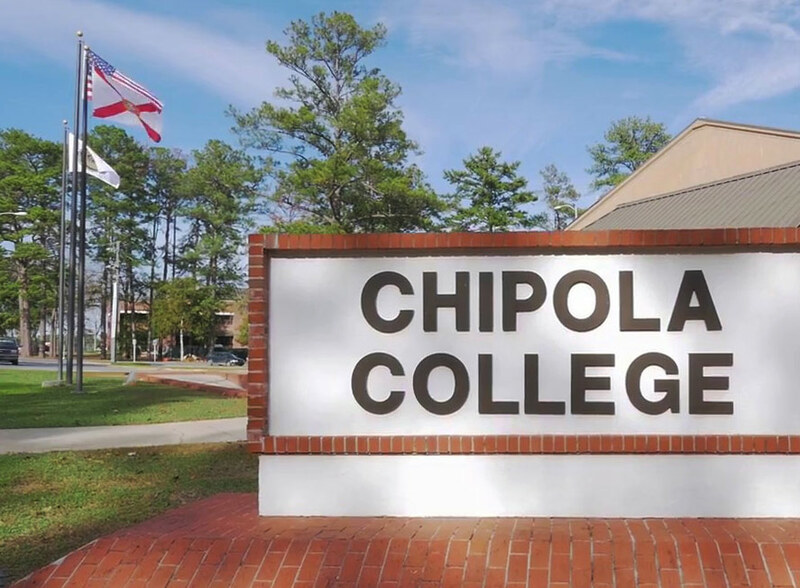 According to U.S. News and World Report, Chipola College (located in Marianna) was 10th on the list of Top Public Schools in the South and number 52 among the Best Regional Colleges in the South. Along with AA transfer degrees, they offer a range of public service and workforce-related AS degrees and certificates. They offer Bachelor degrees in Nursing, Education and Business – with Business specializations of Management, Accounting, and Information Systems. With technology programs spanning computers and network administration, programming, automotive systems (NATEF), welding technology (NCCER), civil engineering technology, and engineering technology – we have a broad base of training initiatives connecting with the manufacturing and construction industry clusters. An Advanced Manufacturing Engineering Technology AS Degree is led by an outstanding, award-winning instructor who has conducted work with NASA and demonstrates great connection with the wide range of student ages and backgrounds. The college provides our community with a world-class mechanical and electrical engineering skills degree which prepares students for success in industrial maintenance, plant engineering, and mechatronics. We have personnel with experience in CNC technology with access to virtual and practical manual and CNC machining training. We are excited to work with vertical manufacturers to help establish and execute customized training programs, which develop the specific skills each employer demands, for success within their industry.